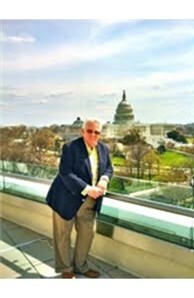 Grant Griffith | Raised in southern Florida and educated in Michigan, Grant has been a leader and highly successful sales professional in the Washington, DC and Northern Virginia real estate community for more than four decades. One of the legends in our area’s real estate sales business, he upped the local bar in customer service by creating one of the first and longest-running agent partnerships in the region—taking a professional team approach to each and every property sale. Grant is active in residential and land sales, splitting his time between Washington, DC and near the Blue Ridge mountains in beautiful Rappahannock County, Virginia. Ryall Smith | With roots in Louisiana and Tennessee, Ryall left the south courtesy of the US Air Force, landing in the Washington area as a young Captain at the Pentagon. 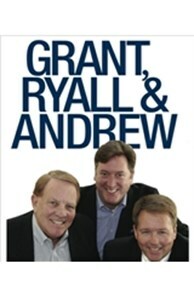 Ryall joined Grant in his top-ranked real estate business in 1988, a terrific opportunity to learn from the master! After 29 years, they remain one of the longest running—and most experienced and award-winning—teams in the DC, Maryland, and Virginia area. 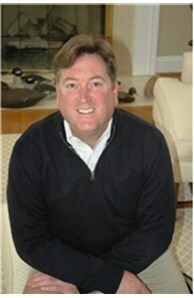 Ryall is a past Board Director of the Washington, DC Association of Realtors and supports many community organizations. Ryall loves visiting friends he met while stationed in Europe and living in his Abdo-designed loft in Capitol Hill’s 100-year-old Bryan School as well as his small farm near Little Washington, Virginia. Andrew Glasow | A native of upstate New York, Andrew made his name in national marketing and design circles as Vice President for Design Center Marketing programs at Merchandise Mart Properties, Inc. He created the marketing and public exposure programs for The Mart’s acclaimed home design centers at DC’s Washington Design Center and Kitchen, Bath, and Building Center; Chicago’s LuxeHome™; and the Architects’ and Designers’ Building in New York. Andrew joined our team in 2005, bringing his talent, expertise, and connections in marketing and home design to every sales transaction we manage. From pre-market preparation and staging to guiding our professional photographer and online exposure specialists, he has propelled our real estate service to the highest levels in the industry. Fred Saddler | Another native of Louisiana like Ryall, Fred joined our team in 2014 and serves as our Director of Client Care. 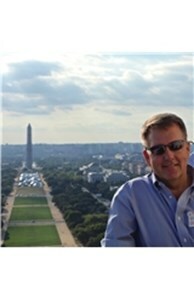 Fred lives in the Capitol Hill Historic District and has a passion for the area’s historic homes and gardens. He comes to us from academia, having been a history instructor at several Northern Virginia colleges and universities including George Mason, Marymount, and Northern Virginia Community College. We often say that teachers make the best real estate agents—Fred is proving that adage correct.